Q: How did you get started on this path to true health? Lou: It was back in 1973 when I was 21 years old. At an early age I was suffering from severe constipation. At the time I didn’t know it was from poor digestion and a toxic colon. I started developing severe acne, allergies, and before I knew it, I had a rash on my body. Shortly after that I ended up with a tumor behind my head and was facing surgery because of it. I asked the doctor what caused the tumor and he told me he wasn’t sure. At the time I was also diagnosed with chronic asthma and was taking meditation just so I could breathe. I was confused and didn’t understand how this could happen to me. breathe but I knew I wanted to live. At that moment I had a reflection of my entire life and I totally surrendered. I prayed that somehow God would hear me, and help me get well by showing me what to do to live a life free from the pain. It was amazing and I was overwhelmed with a comforting sensation and some simple changes to follow. These changes, I have since called, the Four Principles of Holistic Health that were placed upon my heart. I chose to do the things I was given and made a promise I would share these with everyone. Within six months, everything went away and 42 years later have never come back. No asthma, constipation, joint pain, or tumors. I have learned to love life and realized everyone is special. I had to learn to forgive myself first and thank those who had hurt me. For me to feel the way I feel now is actually pretty incredible. I’ve been so thankful every since. For many years, I’ve been traveling all over the world, sharing these Four Principles of Holistic Health that I’ve learned. It’s helped hundreds and thousands of people overcome many things. I’m glad and honored to be here for Jae, who is a dear friend to me. I am really glad to do whatever I can to support the cause of helping people get well. Q: What are the Four Principles of Holistic Health? Lou: The first one is called Cellular Communication. The second one is called Cellular Environment. The Third one is called Cellular Exercise. The Fourth one is called Cellular Nutrition or Cellular Food, or how to feed the body from a cellular perspective. Q: I’m very excited to introduce PuraDyme Enzymes and Probiotics to Tribest fans. Please tell us about Puradyme. Lou: For over forty-plus years, I had a dream to take these four Principles and make them available to the world. After many years of sharing these I knew I needed to create a company that would focus on these principles, not carry any animal products and carried wholesome products such as enzymes and probiotics. I wanted to share how living these principles are easy by teaching people about juicing and raw living foods. I have learned that with education, people could learn to eat raw living cultured foods. My idea was to help them with recipes and give them easy access to almonds, quality juicers like the Greenstar Elite, powerful blenders, the Sedona Dehydrators and educational tools that could help offset the deficiencies that are going on with people. PuraDyme was formed to do just that. I want pole to understand that the Four Principles are the foundation of PuraDyme and that the enzymes and probiotics can help accelerate the cleansing and healing process. Q: What makes PuraDyme enzymes and probiotics different from all the other enzymes and probiotics out there? Lou: I wanted to be the guardian of these products. I wanted them to be the best with the highest activities and affordable. What we’ve come up with is the highest quality, the highest activity, the broadest spectrum of enzymes with no fillers, using wholefood co-factors. These enzymes have a broader spectrum and are strong than any enzymes I had before. The Probiotic blend has 5 synergistic strains and higher activity. They are also highly proteolytic and very heat stable. They survive the acids of the stomach and they work! 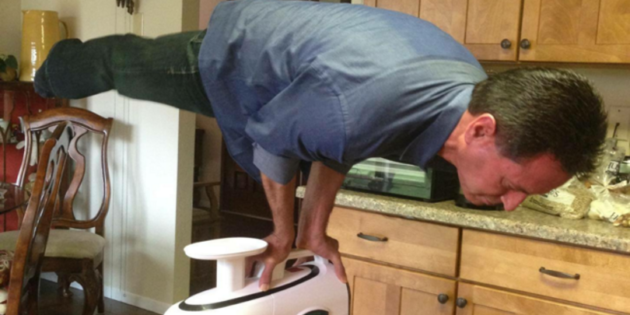 Q: What are some things people can do to regain and maintain their health? Lou: First and foremost, I would say to start adopting the Four Principles; learn how to think and breate powerfully and be grateful. Make sure you get clear and complete with past issues and move forward. Create win-win scenarios and do your very best. Make sure you drink the good water: Good, pure, alkaline structured water. Drink plenty of it to flush and regulate your system. Do some rebounding every day for at least 20-30 minutes to stimulate your lymph. Drink at least 1QT of the Lemon Ginger Blast and definitely make fresh juices daily. Use the Greenstar Elite Juicer because it is a powerful juicing tool that extracts very, very well. Also, drink 1QT smoothie made with the seed/nut yogurt. Learn to make dressings and soups with that same yogurt because it will give you all the protein, amino acids, fatty acids and glucose that you need. 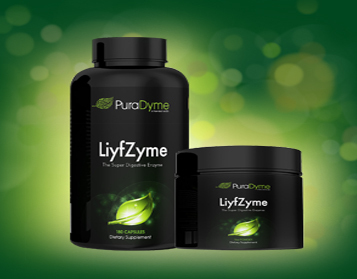 In addition, enjoy LiyfZyme with your meal to compensate enzyme deficiencies in our food. Take some PuraZyme for a while to clean up your system. If you have some intestinal issues take some LiyfBiotic or PuraLiyf, two very powerful probiotics, to help you establish good flora in your system and maintain it. Those are just some of the things we need to do to regain and maintain our health! Q: What’s your advice on living more powerfully? Lou: We must acknowledge and accept fully who we are! As soon as you get in touch with how wonderful and how powerful this life is and realize that you and each one of us are powerful capable beings, then you have opened yourself to all possibilities of actually living a healthy, vibrant, powerful long lasting quality life! You can now live up to your potential. You must make powerful decisions to live your life out in a powerful way. Create a Declaration that will allow you to put on paper exactly how you want to live, how you want to eat and drink, what you want to do with this life, and where you want to go with it. Write it down and read it up to three times a day because when you do that, you’re going to reprogram, recondition, redefine, and redirect your entire life. It will become internalized and integrated with every cell of your body. Every cell knows and responds exactly to what you tell it to. You’ll become that declaration. It always happens to every dingle person I’ve every shared this with and have actually done this. My love goes out to you.